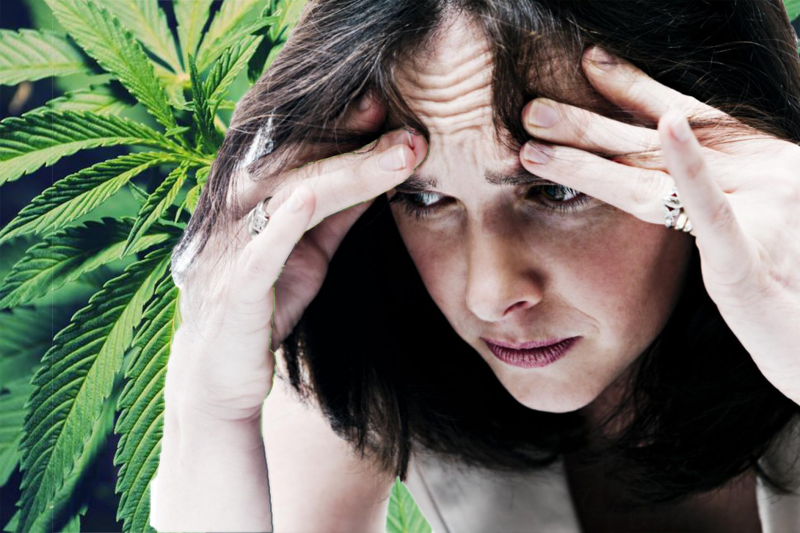 A new study has found that half of participants were able to replace their anxiety medication with medical cannabis. Canadian researchers launched an observational study “to investigate the reduction of benzodiazepine use in patients using prescribed medical cannabis,” finding compelling evidence that cannabinoids may have the potential to safely treat symptoms of anxiety in patients. For the study, 146 medical cannabis patients who reported benzodiazepine use at initiation of cannabis therapy were monitored over a six-month period, with physicians collecting self-reported patient information at each clinic visit. According to the study, nearly half of the patients who participated in the study were able to replace their benzodiazepine prescription with medical cannabis. After completing an average 2-month prescription course of medical cannabis, 30.1% of patients had discontinued benzodiazepines. At the final follow-up period after three medical cannabis prescription courses, 66 total patients (45.2%) had discontinued benzodiazepine use, showing a stable cessation rate over an average of 6 months. Researchers also noted that patients who were able to completely replace their benzodiazepine intake with cannabis saw an increase in their quality of life. After three visits to the clinic, those who had completely replaced benzodiazepine with medical cannabis reported that their medical condition affected them “all the time” only 30.3%, compared with 45% for those who were using benzodiazepine as well as medical cannabis. The study’s authors believe the reason they saw a reduction in benzodiazepine-use in patients using cannabis due to potential cannabis has at increasing serotonin levels. Research already exists that shows the Endocannabinoid System (ECS) regulates serotonin production, suggesting that cannabinoid-therapy could be used to treat depression and anxiety (primary reasons patients are prescribed benzodiazepine). For example, scientists found in a 2007 study that 20% of mouse serotonin neurons had cannabinoid receptors. A 2004 study, found that when given THC, serotonin levels increased in lab mice. When they blocked CB1 receptors in mice, serotonin levels decreased. “A lot of the medications we use to treat depression work by changing the amount of serotonin that’s available for the brain to utilize. “Cannabinoids may increase serotonin levels in certain conditions and reduce them in others. “The opioid crisis gets a lot of air time, but people don’t always realise that behind the [opioid] crisis is benzodiazepine addiction and overuse of antidepressants. “By offering a safer alternative like cannabis, we can keep people away from addictive substances. Mental illness is on the rise in the UK, with 7.8% of people meeting criteria for diagnosis meeting for anxiety and depression, making it them the most common mental illnesses in Britain. In 2013, there were 8.2 million cases of anxiety in the UK, meaning 8.2 million people could potentially benefit from cannabinoid therapy. However, while the results of the study are a positive indication about the potential of medical cannabis, the authors remain cautious of over-stating the efficacy of medical cannabis, conceding that more research is needed before definitive conclusions can be made.